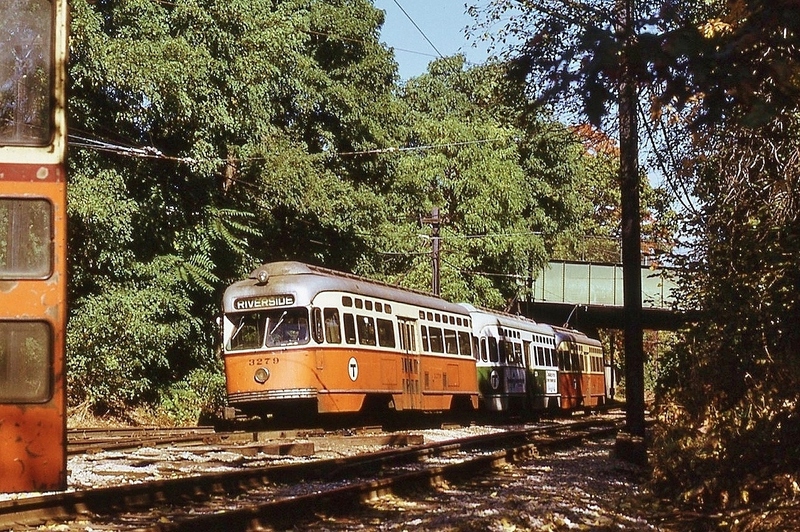 Cook street was the time table point, where New Havens line through Needham Heights ended and/or met B&As Highland branch. In summer 1973, major track work caused MBTA to construct a temporary turn back loop west of Newton Highlands station, making use of some of the historic alignment. Photographed by Ken Patton, August, 1973. Added to the photo archive by Ken Patton, July 15, 2018. Wow - a three car train of PCCs! Neat picture! A few years back, MBTA upgraded all the Green line catenary to handle three car trains of Type 7s and type 8s but apparently they're rarely operated.